At HEART Ibiza, Friday, from 31 May to 4 Oct. Be your crazy self! The firmly established B!CRAZY has been catering to the gorgeous and musically savvy cosmopolitan crowd for quite some time. This party takes over the dazzling HEART Ibiza on Fridays. B!CRAZY takes Studio 54 to a whole new level. Appealing to fashionistas and discerning clubbers, it encourages freedom of expression without limitations. 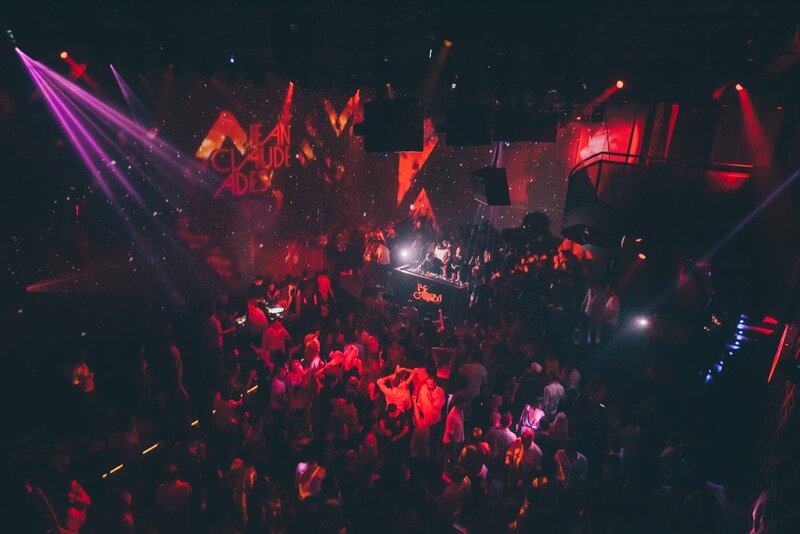 With HEART Ibiza as its home, the party also tickles all your senses as the venue provides stunning production and a multisensorial experience. Artistic interpretations of the party's mood fill the floor-to-ceiling LED video walls as well as spectacular costumed dancers appearing throughout the night. Musically, you are in excellent hands, as Jean Claude Ades is renowned for his impeccable music taste. Together with some of the most talented DJs on the planet, he takes guests on epic sonic voyages full of love and elegance. DJs such as Armonica, Audiofly, Chaim, Birds of Mind, Guy J, Guy Mantzur, Jonas Saalbach, Konstantin Sibold, Marcus Worgull, Oxia, Sébastien Léger, Salomé, Super Flu, Upercent, WhoMadeWho (DJ) and many other usually fill up the B!CRAZY roster. Running every Friday from 31 May to 4 October 2018, B!CRAZY brings you a unique musical experience.